ST GEORGE – Even though the 2013-2014 cougar hunting limited-entry permit drawing is past in Utah, cougar hunters may still lawfully hunt. The yearly cougar hunt in Utah has two different types of permits: the limited-entry permit, awarded through a drawing which has already occurred; and the harvest-objective permit, issued in unlimited numbers with use subject to area quotas. Harvest-objective permits go on sale Nov. 5 over the counter or online. Those holding a limited-entry cougar permit for the 2013-2014 season may not obtain a harvest-objective permit. 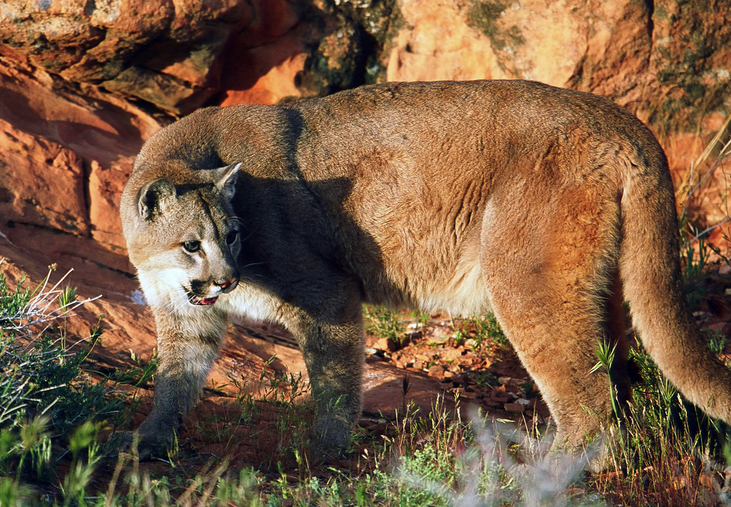 Any Utah cougar permit purchased after the season opens is not valid until three days from the date of purchase. Therefore, the last day to purchase a 2013-2014 harvest-objective permit is Nov. 6, 2014. 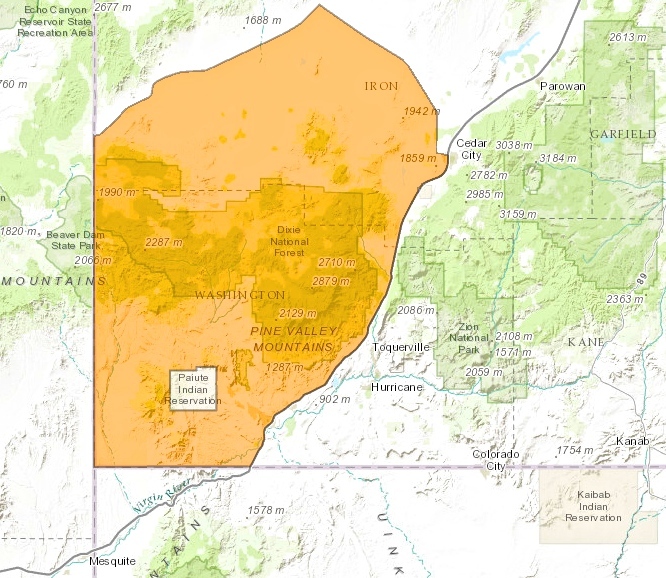 Although Utah’s Division of Wildlife Resources issues an unlimited number of harvest-objective permits, DWR biologists have identified the number of cougars generally, and female cougars specifically, that they want taken on a given management area. 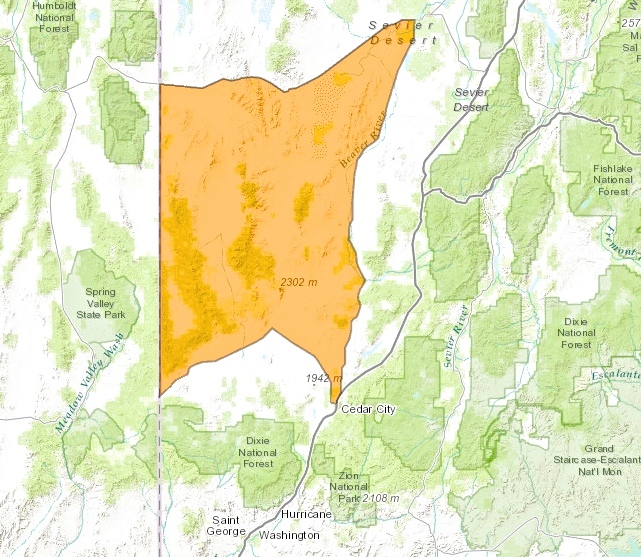 Once that quota is reached, all units in that area will be closed for cougar hunting even if it is before the season ending date. When a unit closes, harvest-objective permit holders can move to other open units throughout the state. 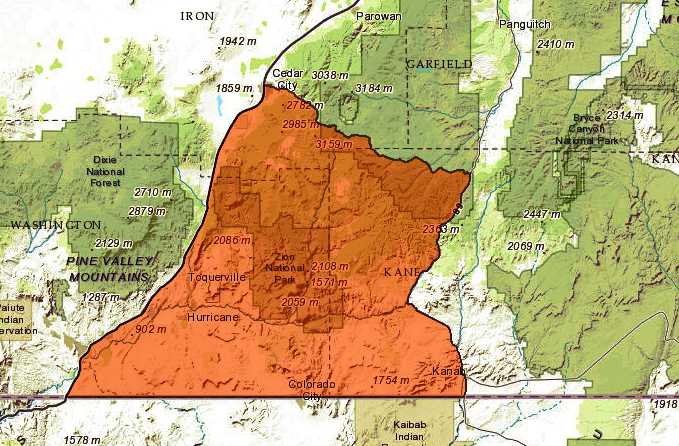 Utah has several predator management and cougar management areas, each encompassing one or more hunting units. 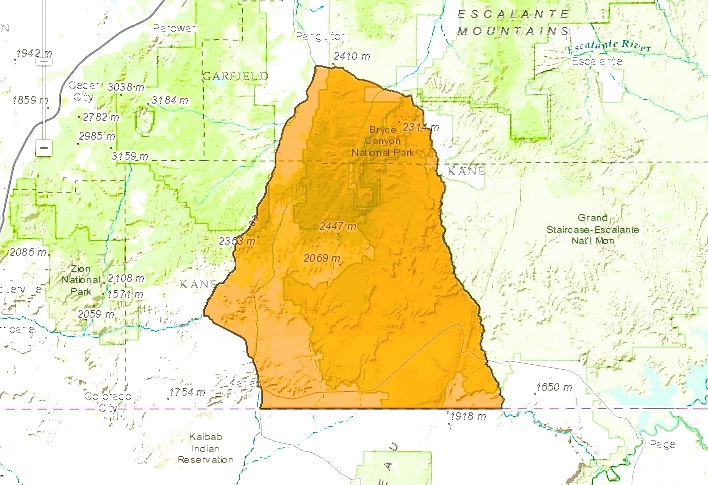 The nearest units to St. George are the Pine Valley Predator Management Unit, consisting only of the Zion unit, and the Pine Valley Cougar Management Area, consisting of three units: Paunsaugunt, Pine Valley and Southwest Desert. Note that the harvest-objective hunts begin Nov. 13, 2013, on some units and March 3, 2014, on others. See maps with harvest-objective and limited-entry dates below. Before each hunting trip on a harvest-objective unit, you must call 1-888-668-LION (5466), or visit the 2013-14 cougar harvest-objective hunting units web page, to verify that the area you’d like to hunt the next day is still open to hunting. The phone line and the website are updated by noon each day. The closures take effect the following day. For conditions, requirements and information related to the cougar hunt, see the DWR’s 2013-2014 Cougar Handbook – pdf, visit a local DWR office and explore the DWR webpage on hunting information. Click on image to enlarge it, then use your left-right arrow keys to cycle through the gallery. For update information on which areas are open or closed visit the cougar harvest page of the Utah DWR site. Cougar hunting? That sounds like a reference to these local older church women, either young guys hitting on them, or them hunting young dudes. Rowrrrr! Takes a real heartless human to take one of these beautiful animals. Yes Cheri they are beautiful animals, however I believe you would feel differently if one of these beautiful animals was stocking you if you were out enjoying some of our areas finest hiking. You mean STALKING and it would STILL take a heartless person to hunt and kill these beautiful creatures. And for what? Because another “human” determined the number that should be allowed to live? My thoughts exactly, Craig! Thank you. I am out hiking constantly. And would rather be stalked by a cougar! And…our finest hiking is in the cougar’s territory. It is not ‘ours’. Good luck to you cougar hunters. A very difficult hunt, indeed. But very necessary to maintain healthy wildlife numbers. Its amazing how someone would change their views about a species of animal after it has killed a family pet or even killed someone they love.